I don't know about you all, but one thing I feel like my kids ALWAYS need more practice on is fact fluency. In 2nd grade, students are expected to be able to fluently add and subtract within 20. 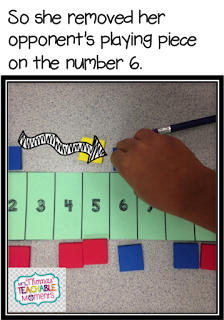 In order for kids to get in quality practice, it has to be engaging. At the end of the year, I put together this little game called "Walk the Plank." This game is usually played in pairs, but could be played with four players in teams of two. 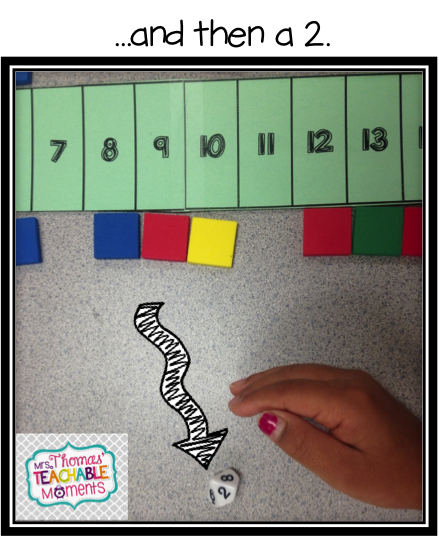 Begin by giving each pair of students one "plank," two 10-sided dice (or cubes you have written on with numbers up to 10), and each child 20 playing pieces. 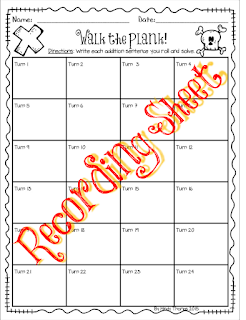 You can also give them a recording sheet if you wish. Each player lines his or her playing pieces along the side of the plank, aligning one piece under each number. 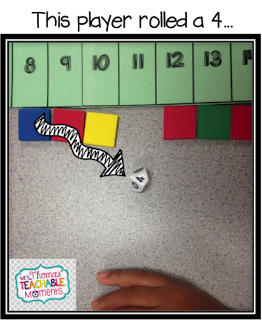 Player 1 rolls the dice and adds the two numbers together. Then, he or she removes Player 2's playing piece next to the number that matches that sum. Then, the turn is over. 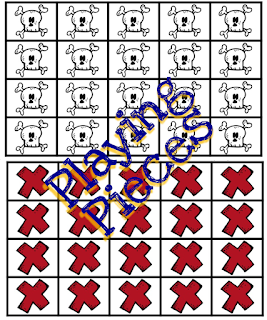 The pictures below show one turn for a player. I only had enough 10-sided dice for the kids to have one, so they just rolled it twice. 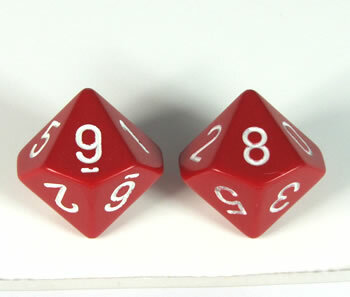 Player 2 then rolls the dice and repeats the process. Players continue taking turns, repeating this process over and over. If a player gets the same sum they have already made, they just don't get to remove a piece on that turn. My students LOVED this game. 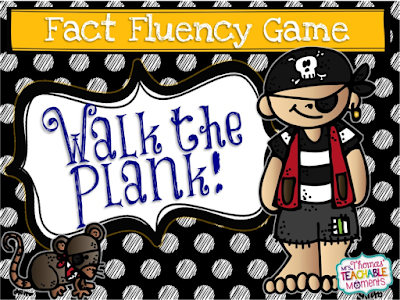 We played it several days in a row, and the next week they had the choice of this game and a few other fact fluency games, and they overwhelming chose "Walk the Plank!" You can check it out here at my TPT store by clicking on the image below. What did you use for the planks?